In this post you will find a summary of the essay. This is a humorous essay written by Jerome K. Jerome. The writer describes his misadventure in a humorous way. He tells that one he was reading a liver pill circular when he suspected that his liver was out of order. He went to British Museum to study the details about liver disease. He studied the symptoms and he came to know that he was suffering from that disease. He studied further one or two diseases and he was surprised to know that he had those all. Thinking something he began to read the disease alphabetically. He came to conclude that he had all diseases except house maid-kneed disease and he tried to accept that fact. 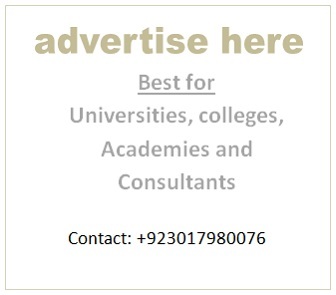 Rather being worried, he began to think himself a valuable asset for the medical students. He thought that he must have been a hospital in himself. He would be a hospital in himself and the medical students would have to go around him and take their diploma. He went to the medical man and told him the whole situation. The doctor examined him and told him that there was nothing to worry about. He was fit and OK. He gave him the prescription and asked him to leave. of steak, every 6 hours. 10 miles walk every morning, Bed at 11 sharp every night. And don't stuff your head with things you don't understand”. Q. 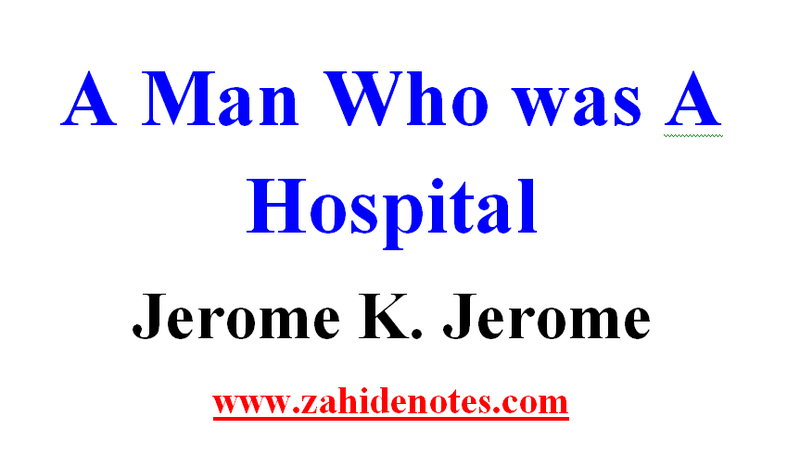 1: How did Jerome K. Jerome come to suspect that his liver was out of order? Ans He came to suspect so after reading a patent liver-pill circular and concluded that his liver was out of order. Q. 2:What was the disease he discovered he didn’t have? Ans He discovered that he did not have „housemaid‟s Knee‟. He was much disappointed for not having it. Ans No, he rather felt hurt for not having it. He was much disappointed at his finding. Ans He was frozen with horror that he was the patient of all the diseases. He thought that he would be an interesting case from the medical point of view. Q. 5: Why should he be an acquisition of the medical class? Ans He should be an acquisition of the medical class because students would have no need to walk around the hospital to know about different diseases as he was a hospital himself. Ans When he went to the doctor he told him all about his diseases. The doctor at once understands the real matter. He checked him completely. He hit over his chest and head and then gave him a prescription. Q. 7: He thought he was doing the doctor good turn by going to him. Why? Ans He thought so because the doctor was going to get more practice out of him than seventeen hundred common patients. Therefore, he thought he was doing the doctor good turn by going to him. of steak, every 6 hours. 10 miles walk every morning, Bed at 11 sharp every night. Q. 9: Describe his visit to the chemist. Ans He went to chemist gave him the prescription. The chemist replied if he had a cooperative store and a family hotel combined he would have been able to oblige him. Q. 10: What is the significance of the doctor’s advice: don't stuff your head with things you don't understand? Ans This is a very important advice. Generally, people start to think about those things for which they have no concern. As a result, they draw a false conclusion and get worried. The writer followed the advice and become healthy. Q. 11: How had the writer walked into the reading room of the British Museum and how did he return? Ans The writer walked into the reading room as a happy and healthy man. But he returned as a despaired patient. Ans No, in fact, he was confused. When he did not feel his heart beating in his chest, he patted himself all over his front. He felt his pulse which was very fast. Ans He went to the British Museum to read the treatment of hay fever.